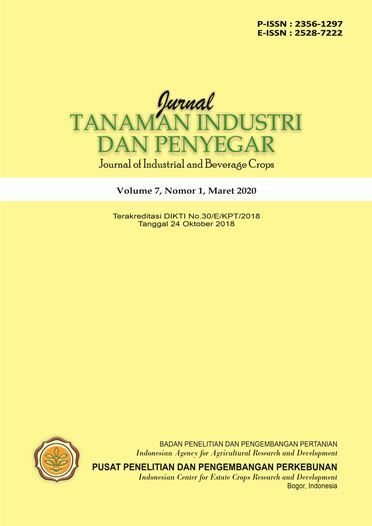 Jurnal Tanaman Industri dan Penyegar (JTIDP) published by Indonesian Center for Estate Crops Research and Development is a peer-reviewed and open access journal that publishes significant and important research from area of agricultural science on industrial and beverage crops. We accept submission from all over the world on English or Indonesian language. Our Editorial Board and Peer Reviewers members are prominent and active researchers in agricultural sciences fields who ensure efficient, fair, and constructive peer-review process. All accepted articles will be published freely and available to all readers with worldwide visibility and coverage.